I’m excited to share the news that today is my very first day at the digital agency Divide & Conquer, based in Stockholm. Divide & Conquer was founded earlier this summer by Thord D. Hedengren and Helena Waern. Thord is the author of books like Smashing WordPress: Beyond the Blog and Smashing WordPress Themes, and he recruited me to the web agency Odd Alice back when I was still building free WordPress themes in the evenings. (I still do that on occasion, but you get the point.) When he sold Odd Alice to 24HR Communications last year, he stayed on as interim CEO for the Stockholm office. Helena was head of operations at the Stockholm office at 24HR, and she has 15 years of experience working at agencies from before that. 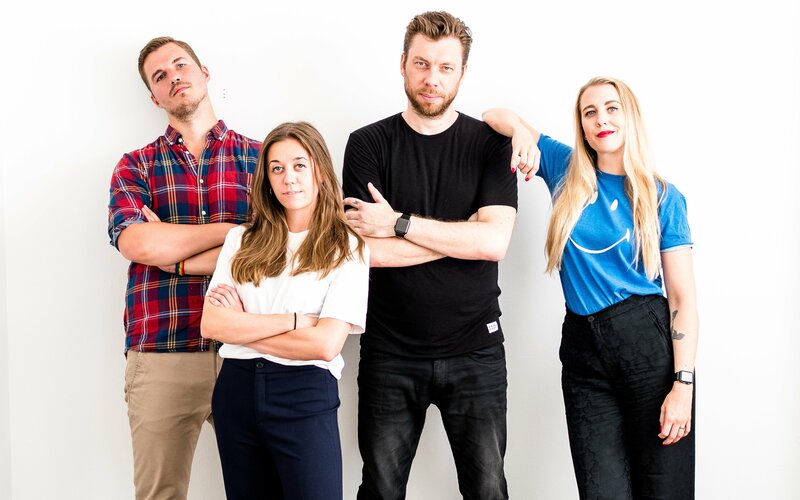 Starting today, I’m working full-time as a designer and developer at Divide & Conquer alongside Thord, Helena and Emma Fresk (who also worked at 24HR previously). We do digital strategy, design and development, and WordPress obviously has a special place in our hearts. We care deeply about the work we do, and we enjoy working with clients who share that attitude. If you have a project that you want to talk about, you should get in touch. Whether you have a project or not, you should follow us on Instagram. We mostly post pictures of cute dogs that walk past the office, so you know it’s quality content. From left: Me, Emma, Thord, and Helena. As to what happened with 24HR, it’s not a particularly interesting story. To summarize, things did not work out the way anyone had hoped they would when the acquisition took place. Thord goes a bit deeper into it in his blog post. It’s been a rough year, but even in its crappiest moments, I felt fortunate to work alongside people I like and respect. People like Mattias Ekendahl, Mark Ellis, Marco Hyyryläinen and Mikael Hörnaeus. Without 24HR, me and Thord also wouldn’t have gotten to know Helena and Emma, and without them, there wouldn’t be a Divide & Conquer. Things have a tendency to work themselves out. For the first time in a good long while, I’m really excited about the future. I’m not sure where Divide & Conquer will end up, but given my travel companions, I’m confident that it will be a exciting journey.